By combining hard turning and grinding methods, CVT pulleys can be machined in a single clamping operation with the VLC 200 GT. The abbreviation “CVT” stands for “Continuously Variable Transmission.” The technology is increasingly used for hybrid drives and thus is a major building block for future electromobility. 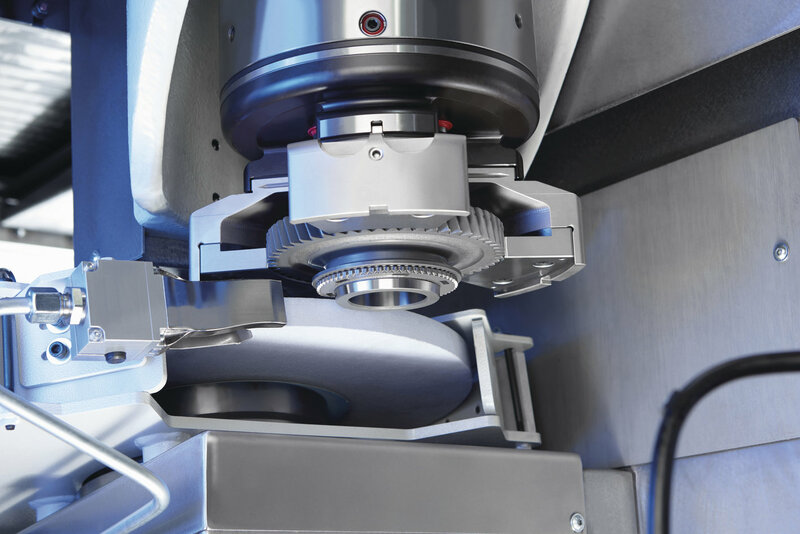 To be able to machine CVT pulleys, in addition to the tool turret, the VLC 200 GT was equipped with an external grinding spindle, whose performance was specifically tailored to the workpiece as was the grinding wheel configuration. Combining these methods—all other surfaces and bore holes of the component can be turned—provides the benefit of decreasing tool costs and cycle times. The grinding wheel wears down more slowly and therefore does not need to be dressed as often and the use of twin tools on the high-capacity tool turret enables a nearly undisrupted production cycle. EMAG supplies the entire process chain required to manufacture CVT transmissions. For example, the dual-spindle vertical turning center VL 3 DUO is ideal for turning the pulley blanks. The result is a manufacturing system for soft machining of pulleys in two operations with a very small footprint. This flexible manufacturing solution, which is interlinked with EMAG’s own automation solution, TrackMotion, provides maximum productivity in the narrowest of spaces. When it comes to loading, all options are open to the user as the system can easily be integrated in any manufacturing setting. The component is first checked, labeled with a matrix code and then measured. 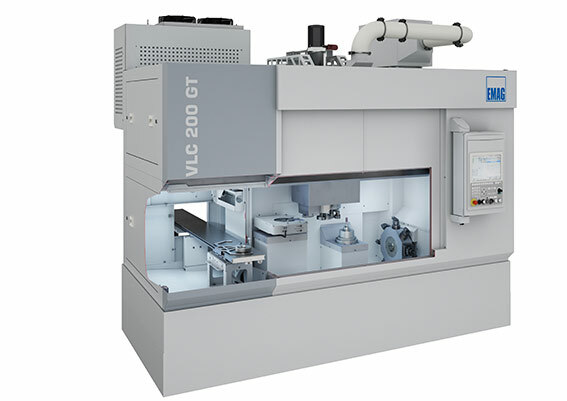 Hard machining is then performed on a total of four VLC 200 GT machines. Among other operations, the inside and outside diameters, as well as the curvature of the component, undergo various turning and grinding processes. Additional grinding processes, including “super finishing,” are followed by washing and final surface inspection.